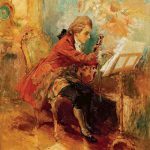 It’s believed that listening to Mozart and other classical music recordings will make the listener smarter, but this is a misconception as there’s nothing unique about Mozart’s ability to increase your mental abilities. Ultimately, there are probably a wide variety of different kinds of music that make people more receptive to cognition, but this is down to the individual taste of each person. Neurobiologists Gordon Shaw, Frances Rauscher and Katherine Ky of the University of California at Irvine discovered in 1993 that students who listened to 10 minutes of a Mozart sonata demonstrated a temporary increase in spatial-temporal reasoning, which was measured by an IQ test. While it’s been widely reported in the mainstream media, there’s even been a book called The Mozart Effect by Don Campbell, it’s not a completely accurate portrayal of the situation. Glenn Schellenberg, a professor of psychology at the University of Toronto, states that there is no Mozart effect. Any number of different experiences might improve cognition, and these aren’t limited to listening to music. Listening to Mozart is pleasant to most people and it might increase the dopamine levels in the brain, which improves cognition, but eating chocolate has the same effect. 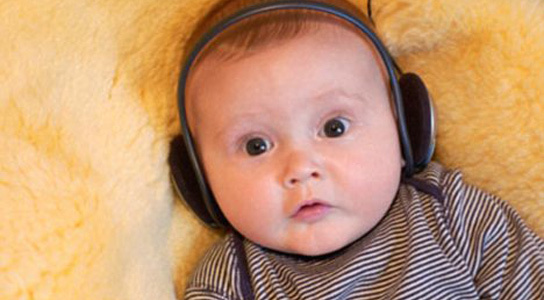 A team of Austrian researchers analyzed their attempted to duplicate the Mozart effect in 2010. In most cases, listening to Mozart didn’t add any significant boost to cognition. However, that doesn’t mean that listening to music won’t give the brain a boost. Catherine Noelle O’Shea and David Wolf from the University of Texas in Houston recently found out that doctors who listened to Mozart before screening patients for colon polyps found more polyps that those who didn’t. The doctors felt good because they had just listened to classical music, which thereby improved their cognition. 2 Comments on "Listening to Mozart Can Make You Smarter but No More than Justin Bieber"
No smarter than Justin Bieber? Actually that’s not what the title meant. It’s got no impact really on what you listen to, because anything that’s pleasing to your ears, whether it’s Mozart or Justin Bieber, will raise dopamine levels in your brain, thus improving cognition.